Microsoft released a new feature called „Groups“. This article is about the anatomy of this feature, the architecture and the structures in the backend. This starts a dialog for to collect the needed information’s like Name, Privacy settings etc. We can see all the conversations for this Group. Based on the “subscribe setting” during the create dialog every post in a conversation will result in an Email to all members of this Group. Insofar we are still in Exchange online. 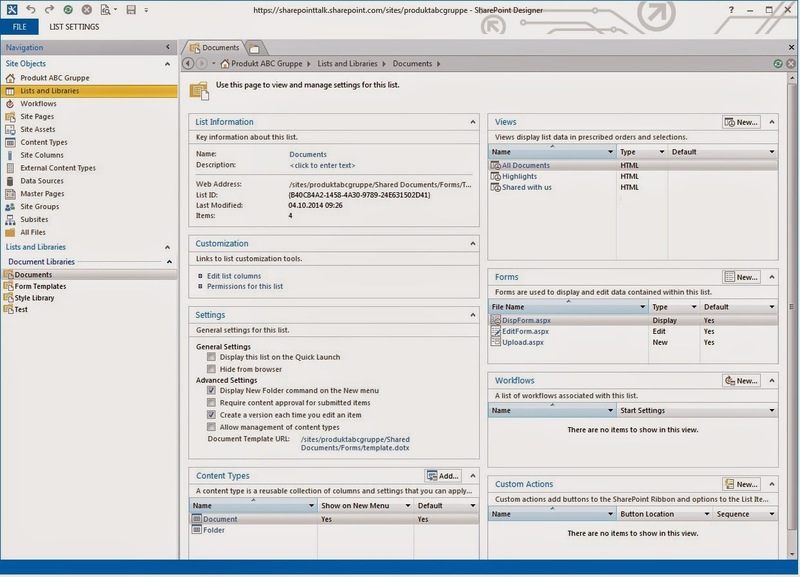 As we see we can manipulated some settings using SharePoint Designer. BUT this is not supported and can only be useful as part of testing and troubleshooting scenarios! Last component is Azure AD. 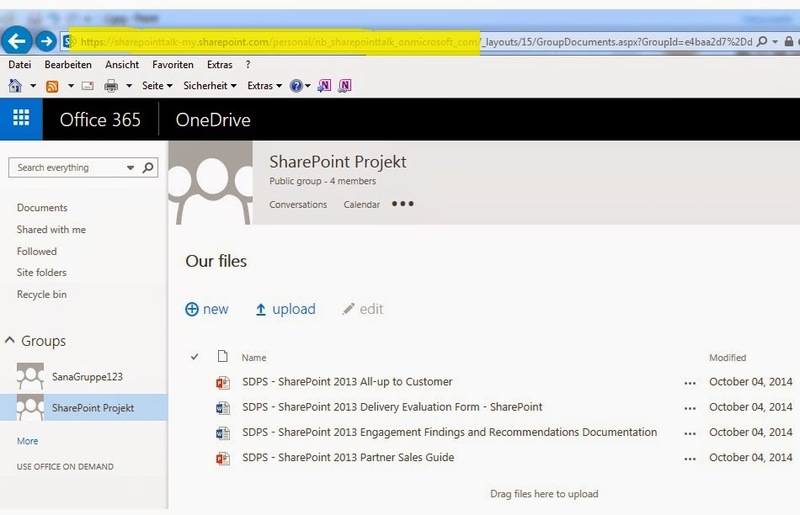 As we see so far Groups are using Exchange online and SharePoint online. So question is what kind of objects are Groups – and the answer is that Groups are Azure AD objects. As you can see we have a Groups tab in Azure AD and there we can find a list of all Groups. Navigating to a Group we have several settings and information’s, amongst other things we can see the Objekt-ID which is the unique identifier for the Group. 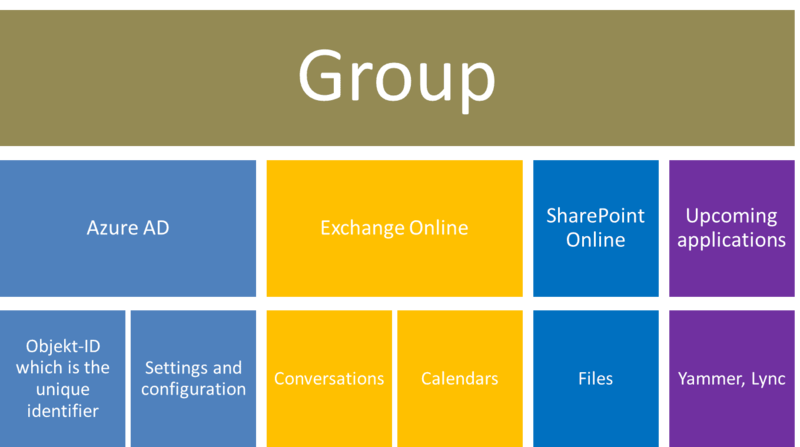 So Groups are not a SharePoint online thing and also not an Exchange- or Outlook online thing. 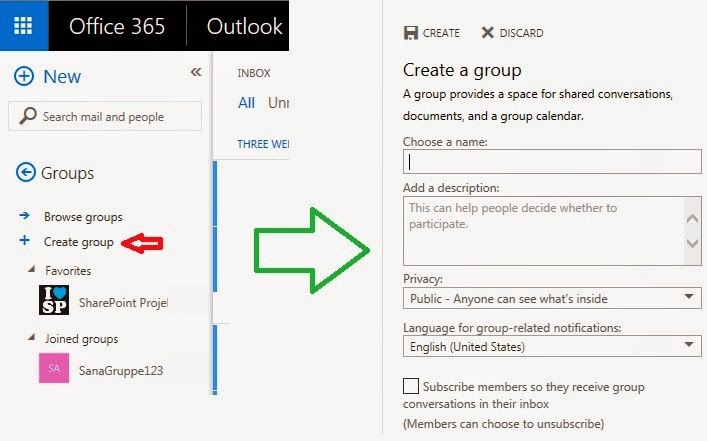 Groups are located in Windows Azure AD and Groups are a Office 365 feature. 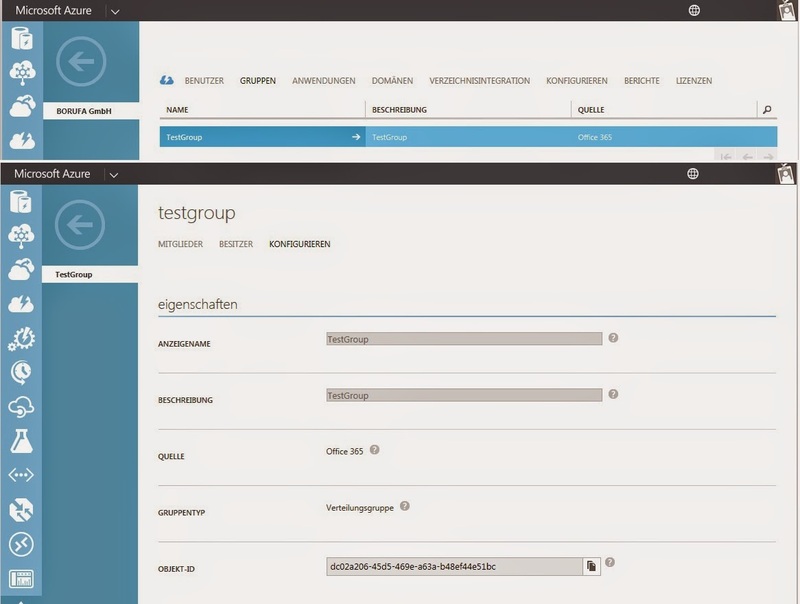 Because of this: Groups can easily be used in all features belonging to Office 365 and the underlying Windows Azure AD. The article I mentioned at the start of this post talks about “…In upcoming phases, we will add Yammer and Lync to the Groups experience to help you do even more”. Now we understand that this can easily be done based on the underlying Azure AD. Hi Nicki - thanks for the post. I was wondering if you know what are the optiosn for getting the member in a group programmatically, (via REST or Powershell)? Hi Nick - great post. 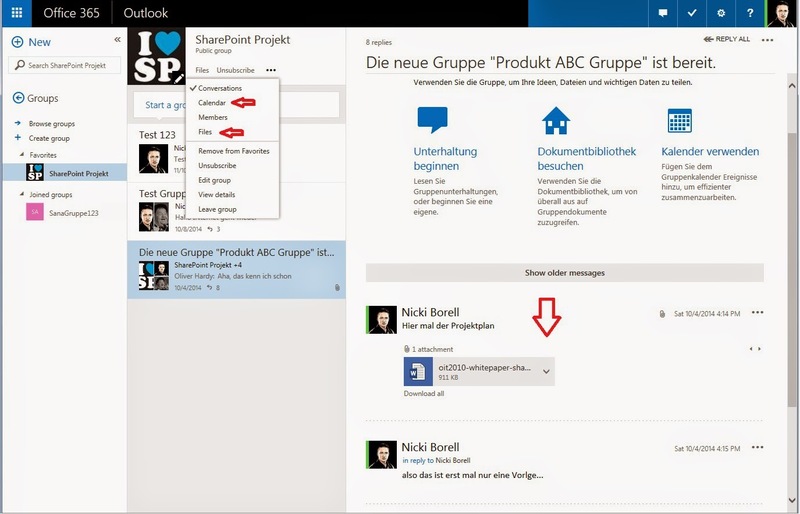 Do you have any info or references to how Yammer will be added to Office 365 groups?